Pamunkey Indian Tribe spokesman Jay Smith said the tribe is eyeing about 20 acres along the Elizabeth River between a minor league baseball stadium and an Amtrak station near Norfolk's downtown. 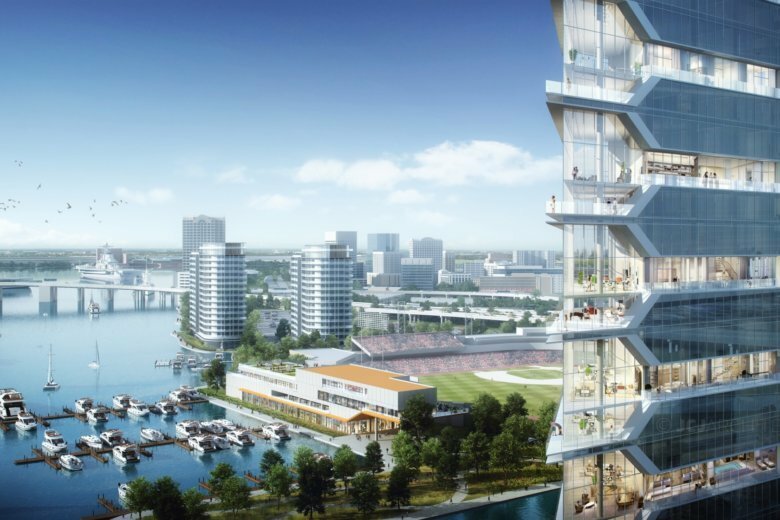 NORFOLK, Va. (AP) — The Indian tribe that greeted English settlers at Jamestown and claims Pocahontas among its lineage said Wednesday that it hopes to open Virginia’s first casino in the city of Norfolk. Pamunkey Indian Tribe spokesman Jay Smith said the tribe is eyeing about 20 acres (eight hectares) along the Elizabeth River between a minor league baseball stadium and an Amtrak station near Norfolk’s downtown. Negotiations are already underway with officials in Virginia’s second-largest city. The Pamunkey announced plans earlier this year to build a $700 million resort and casino in its ancestral region. The tribe says that area includes central Virginia near Richmond and stretches down to the Hampton Roads region, where Norfolk is located. The Pamunkey were among the few tribes that held onto their reservations. It still has about 1,200 acres (485 hectares) outside Richmond. In 2015, the Pamunkey became the first tribe in Virginia to receive federal recognition from the Department of Interior. Smith said the status allows the tribe to operate casinos without approval from the state of Virginia, which currently has none. Nearly 240 tribes operate casinos in more than half of U.S. states under the federal Indian Gaming Regulatory Act, according to the National Indian Gaming Commission. Smith said the games in the proposed Norfolk casino and resort would offer slots as well as the usual variety of table games, including poker and black jack. The proposed casino and resort project still must be approved by the Bureau of Indian Affairs, Smith said. Among the factors the bureau will consider is whether the tribe is indeed proposing its casino on ancestral lands. He said the resort and casino would create thousands of jobs and have an economic impact of more than $1 billion a year. Norfolk sits near the mouth of the Chesapeake Bay and borders the coastal city of Virginia Beach, the state’s largest city. It’s also not far from Jamestown, the first permanent English colony, which was founded along the James River. The Pamunkey may open the state’s first casino, but others may not be far behind. Casinos are currently illegal under state law. But Virginia lawmakers have shown a greater willingness to discuss expanding gambling in recent years. A businessman who wants to build a casino in southwest Virginia said he’s confident about getting approval from the General Assembly, the Bristol Herald Courier reported earlier this month. Some state lawmakers have also said they’re drafting legislation to allow sports betting after the U.S. Supreme Court ruled that states can legalize and regulate sports wagering.